The conference (includes Friday lunch and dinner, and Saturday lunch). 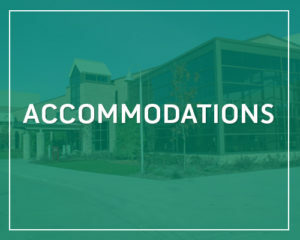 Lodging is optional and extra (please see recommendations here). Breakfast is included in your room charge for those staying at The Prince Center and at the Comfort Inn. 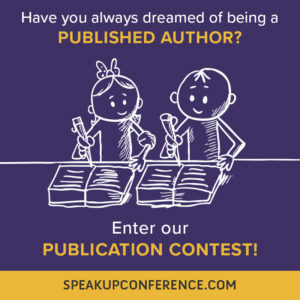 $100 Scholarship available for all alumni of past Speak Ups. Contact Bonnie. 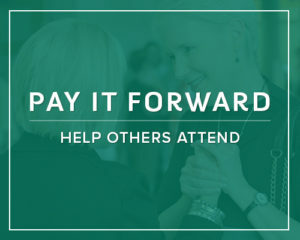 There are a limited number of $100 scholarships available for the conference. If you need financial assistance to attend, please email Bonnie to request this help. If you would like to set up a payment plan, please email Bonnie. 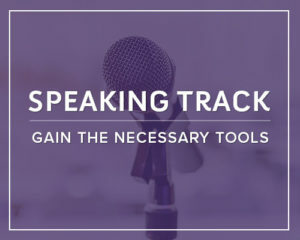 In addition to the keynote sessions, there will be seven one-hour breakout sessions, offering a minimum of six different topics participants can select. Feel free to choose outside of your chosen track. Breakout Session 4 Outlining with Pizzazz! 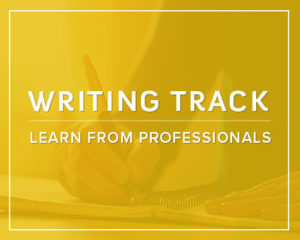 Please select one elective from each of the seven break-out sessions below. Your selections will help us to determine the size of room needed for each session. Thursday lunch: Baked Potato Bar — $15. Thursday light dinner buffet: Taste of Italy — $20. 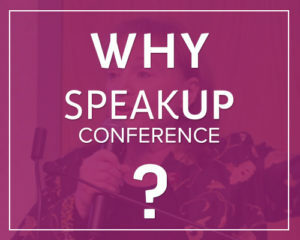 Do you have a spouse who would love to come with you to the Speak Up Conference, but is not really interested in taking the entire conference? We have a solution! For $150, your spouse can join you for all of the delicious meals, the four keynote addresses, and the Friday evening program! If you are coming in on Thursday for the pre-conference activities, your spouse can join you for those meals too, for an additional $35. 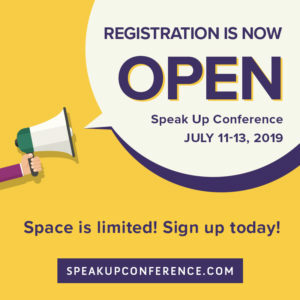 REGISTER HERE *** Don’t forget to add your VIP Experience!